My grandma was a badass. Really, she’s the reason I’m here. I don’t just mean, she’s the reason I was born (also true). What I mean is, she’s the reason I ditched 21 diagnosed diseases and 70 pounds, became a cancer and wellness researcher, and helped my dying Failure to Thrive baby end up a 6’3” All-State MVP pitcher. And she almost died. When I was only 15. I would have few memories of her, had it all ended there. 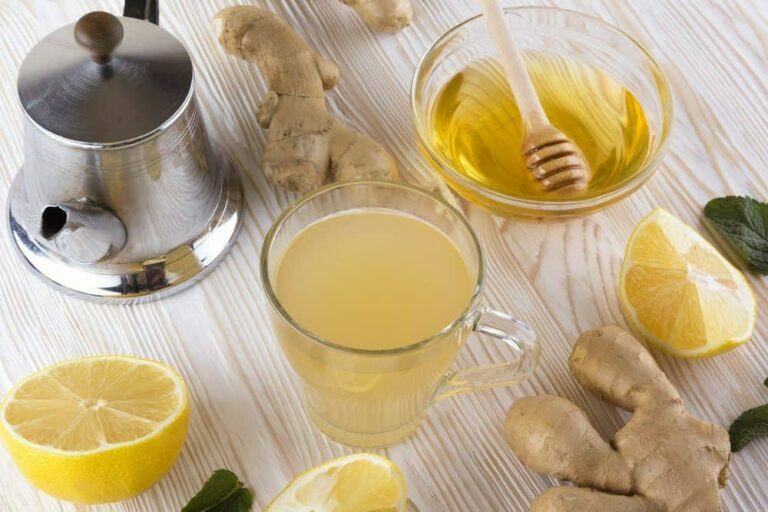 So before I get into this magical antiviral hot drink she made, which has helped me knock down, oh, 200 viruses and bacterial infections over the course of 50 years of life, and raising 4 kids for 25 years…may I tell you just a bit about her? In 1981, at the age of 52, my grandmother was diagnosed with Stage III malignant melanoma. The cancer on her arm had tentacles all the way to her lungs and liver, and doctors told her it was in her lymphatic system and breasts. She went to the Gerson clinic across the border from El Paso, Texas, where my family is from. She stopped eating any animal products, sugar, and processed food. Some of the doctors across the border, in Mexico, weren’t Mexicans. Some of them were American doctors who graduated in the top of their class, but were disgusted by how “standard of care” Western Medicine ignores everything except surgery, tech, radiation, and drugs–in trying to help cancer patients. She didn’t want the chemo and radiation. It was 1981, and at the time, you couldn’t find thousands of stories of people on the internet who have beaten cancer with the Gerson protocols and other non-toxic but effective treatments. Like you can now. Almost no one in my family was supportive of her decision. They cried and told her it was too soon for her to die, and, please, please don’t be foolish, you haven’t met most of your grandchildren yet. My grandmother, Eleanor Brown Romney, was matriarch of the family that spawned Michigan’s famous governor, a runner-up for American President (you got Obama instead), and yours truly. We owned the Romney Produce Company, headquartered in El Paso, which distributed produce all over the Southwest, out of giant warehouses of lettuce, almonds, watermelon, and more. We called her Mums. She hated the name “Grama,” thought it was pedestrian. 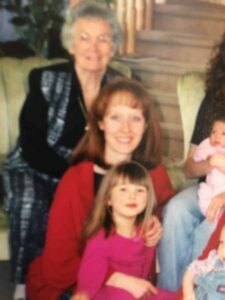 Mums was Mormon, so she never tasted alcohol in her life, and because we always had more produce on hand than we could eat, she ate a mostly plant-based diet. But my grandmother had a few risk factors, too. First of all, Eleanor-Mums came from a childhood of horrific physical and emotional abuse, and her mother died suddenly when she was 14. Now, evidence shows that unresolved trauma, lack of forgiveness, and unresolved negative emotion is as disease-causing as a crappy diet is. But also, she was a Dr. Pepper addict. Back then, we didn’t have volumes of published studies showing how drinking gallons of acid would eat our gastrointestinal lining and put us at risk for cancer, among other things. I’m going to share with you a really practical recipe she taught me, that I think will help you. It has helped at least three Romney generations who survive her kill viruses that antibiotics won’t touch—as well as help us avoid antibiotics for bacterial infections. But I’ll skip to the punchline of this really cool story. Using natural, cell-selective remedies, my grandmother detoxified herself, killed off all the cancer, and rebuilt her immune system. She was there when all four of my babies were born. That I am responsible for my health, and my family’s. That I, as a mother and a human being, receive intuitive information, and study other sources, that I should listen to and balance with what the guys in the white coats say. That food is powerful medicine. That Nature provided many remedies that work, and that do not destroy human immune function. As Mums got better, she became an avid student of not just the great Dr. Max Gerson (whose nutritional protocols and therapies saved her life), but also Dr. Ann Wigmore, Dr. Bernard Jensen, Adele Davis. Healers who challenged “standard of care” Medicine to discover the power of the human organism to triumph over disease, with a little help from powerful foods and substances in our ecosystem that are healing to our cells. When she became elderly, my grandmother gifted me her old books with ragged covers, by these greats in the field of natural medicine and human healing, and they are treasures on my book shelves I practically memorized. In 1997, I asked my Mums agreed to meet with my dear friend, Brenda. She was a mother of five young children, diagnosed with advanced colon cancer. Brenda’s younger sister had already died of colon cancer. Mums didn’t try to convince Brenda to do anything. She just told her story, and answered Brenda’s questions. Brenda chose not to do chemo and radiation, after her surgery, and instead followed the Gerson protocols. 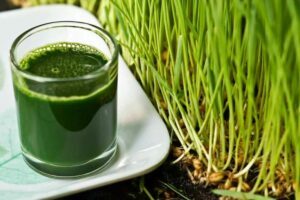 I went to her garage every other day, to juice wheat grass. I made two ounces for her, two ounces for me. (I promptly threw mine up, in her garage garbage a few times–the stuff is powerfully healing, but smells wretched, and I was 2 months pregnant.). And two ounces for an elderly friend of ours suffering with Alzheimer’s. I’m pleased to tell you that Brenda raised her children to adulthood, and is still enjoying life as a grandmother, in 2017. Ginger: Ginger is antiviral, anti-inflammatory, antifungal, and antimicrobial, and protects your liver against oxidative stress. Recent studies have found that it inhibits cancer growth and protects DNA. Bonus: it’s also soothing to your stomach when you’re not feeling well. Lemon: Lemon juice hydrates, and alkalizes the body, neutralizing the acidic condition you find yourself in when the body begins produces mucous, which often stagnates and becomes thick, an acidic condition allowing viral or bacterial cells to flourish. It’s also a highly bioavailable source of Vitamin C, which is part of why it is effective against cold and flu germs. Apple Cider Vinegar: Apple cider vinegar, which must be raw, is detoxifying in dozens of different ways, and is one of the most studied healing substances in the history of nutrition research. Its malic acid is antiviral, and it also has an alkalizing effect, which optimizes the many parts of your immune regulation. The Bragg brand is very high integrity. Cayenne Pepper: Cayenne is an amplifier of natural medicines and substances, and dilates blood vessels, allowing more throughput in cleansing processes. Buy it organic, and in potent strength, if you can. Over 3,000 published studies have shown how powerful the medicinal effect is of its capsaicin. It creates heat, cleans the respiratory system, and prevents infection from spreading. Garlic: Garlic is well known to stimulate immune cells and is often called a “natural antibiotic.” (Unlike drugs, it doesn’t kill the good bacteria in your gut.) It has also been proven effective against viruses (again, unlike drug antibiotics, which work only against bacteria). This is an optional ingredient, as it will make your elixir very strong-tasting, but it is incredibly beneficial. Blend all in a high-power blender. Drink 1 cup at the first symptom of illness, and another cup every 2 hours, or as desired. Do not re-heat Elixir, as this will damage enzymes and nutrients. Drink room temperature or cold after you refrigerate the remaining portion. It will last a week, in the fridge, but you can freeze portions in canning jars, for future use. Hi do you drink it without pass through a strainer? Hi Joana, You certainly can, there’s no harm in not straining, really it’s up to you on whether you want to eat the ginger and garlic while sipping the tonic. Hi Data, What would you like to know more about? We’d be happy to help. Very intertesting. I w try it. It works!!! My children and I were battling a cold (high fever, congestion, sore throat). Made the tonic and we were drinking it 2-3 times a day. Within a week all symptoms were gone. We drank the tonic an extra week just to make sure it was all cleared. Thanks for sharing this recipe.